The Eternity Artifact, by L. E. Modesitt, Jr. This is the storyline that Modesitt visits in The Eternity Artifact. Written in first person with multiple viewpoint -- a slightly unusual mix, which works extremely well -- the plot swings along at a good clip, without losing the personal immediacy in his group of well-written characters. I liked his touch of heading each section with the new character's name -- it saved the usual half-page flounder, trying to figure whose voice we were in, this time. There is a good spread of contrasting characters -- sufficient to give the story pace and depth, and still keep in touch with their personal traits and aspirations. A personal favourite is Liam Fitzhugh -- not only is he very well-drawn, the character contains an interesting twist that plays nicely with the reader's assumptions. Modesitt also more than delivers in the depiction of his world. 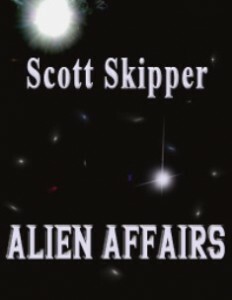 The political and religious tensions are quickly clear; the technology convincing; action scenes crisply written and the alien thing sufficiently, creepily different to keep this reader engrossed right to the end. And he manages all this without pages of dreary explanation -- yeah! I also found the ending completely satisfactory -- which is not always the case in this sub-genre, where the alien aspect has been built up to provide plenty of narrative tension along the way. My only quibble is that in the various viewpoints, particularly near the beginning of the book, the same facts got repeated several times over. Not only did this get rather irritating -- I got quite fed up hearing about the uniforms - it also slightly impeded the pace of the story at a stage when slick scene-setting is vital to keep the narrative tension sizzling. However, if this particular sub genre appeals to you (and I personally love it! ), then you are in for a treat, because Modesitt ticks all the boxes in a cracking 4 star read. Comment on The Eternity Artifact, by L. E. Modesitt, Jr. Comments on The Eternity Artifact, by L. E. Modesitt, Jr.